Yesterday, most of Belgium's press and bloggers came together in Antwerp to attend the preview of the Tiany Kirilove for Vero Moda-collection. I'm so honored I had the opportunity to be there too. I wrote about Tiany Kiriloff, Belgium's leading lady in fashion, a couple of times before but this time it's on a whole new level. Tiany had the amazing opportunity to design her very own collection for Vero Moda - Tiany Kirilove for Vero Moda - and gave us a preview of what will hit the Vero Moda-stores in September 2011. We were there... And saw it was good! To see Tiany's website, click HERE. To see a report of the event, click below. I started the day with a Frappuccino Chocolate Cream at Starbucks. On the picture is also my beloved Blackberry, so I can update my followers on Twitter. 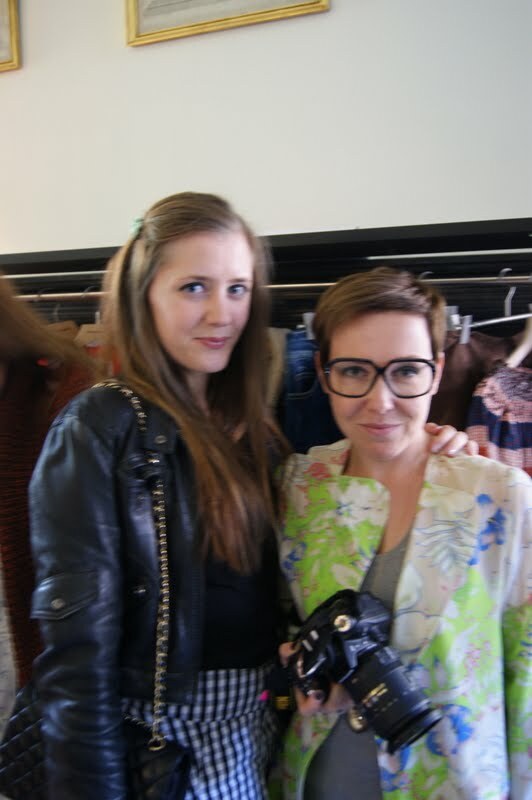 My fashion bloggers in crime: Kim from Brunette Blogging and Stéphanie from Style Laboratory. I fell in love with these gorgeous Louboutins of Kim from Absolutely Mrs. K.
Yummy sweets and tea make the perfect tea party! And there she is: designer Tiany Kiriloff glowing while giving a very emotional speech to the crowd, among whom her mom and two adorable daughters. Tiany is wearing a pink blazer and orange shirt, which are both part of her collection. I love the combo! After the speech, we watched a video with behind the scenes footage and the making of. A proud Tiany while we were watching the video. A closer look at the collection. Among my favorites are the pink blazer, orange shirt with the baby collar, the knitted cardigan and the coat. 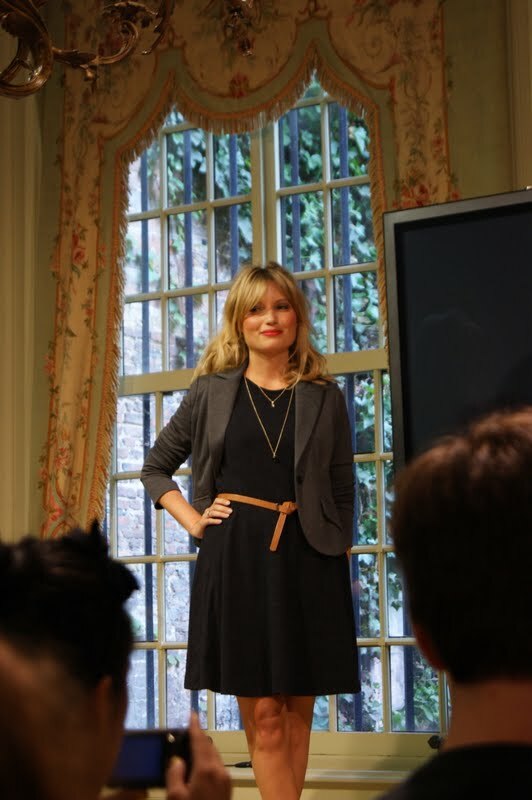 Picture by Annebeth from The Styling Dutchman. I'll show you the whole outfit later! With Kim from Absolutely Mrs K..
With Valerie from Mirror Of Fashion. Lovely pictures! It was nice to meet you! Historians rule the world(okay maybe too enthusiastic about that). I liked the collection as well, especially the little blue dress with the grey blazer and the brown cardigan. Wat een leuke foto's! Dat moet een geweldige ervaring geweest zijn! Die outfit ziet er heel leuk uit. Ik ben benieuwd naar de andere foto's. 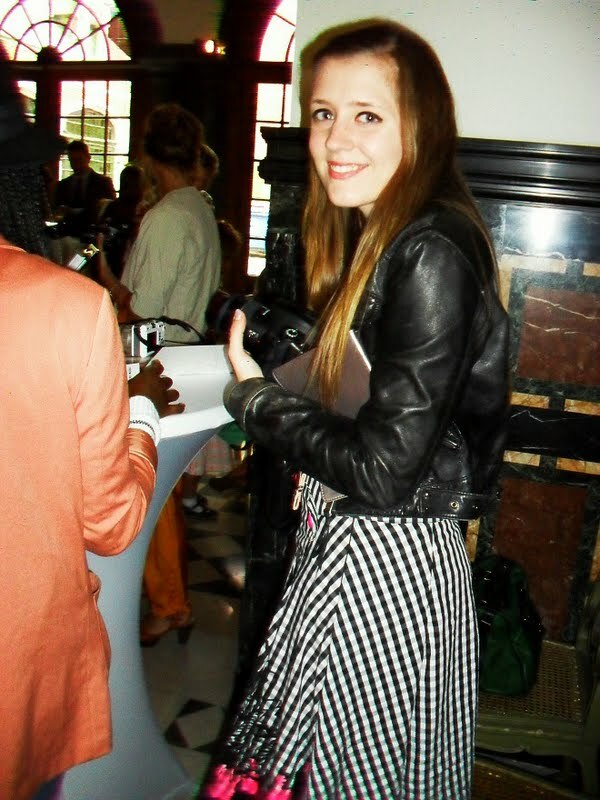 Looks like a lovely event!And I like how you've matched this skirt with the leather jacket! @ Elien Dogs+Dresses & Whateveragogo: It was a busy event indeed! Next time we'll definitely meet up! Cool!! :) Echt schone foto's! Alos ... love your blog, chou. merci voor je postje, thanx for the support, it was such an exciting day and you guys attending to it really meant a lot to me!